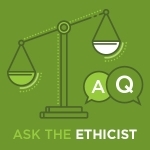 Apra : Blogs : Ask the Ethicist: Using Net Worth in Research Profiles? Is it ethical to use net worth* in a research profile? *Formula for calculating net worth: Total assets minus total liabilities = net worth. Yes, it is ethical. However, as researchers, we have limited, if any, access to a prospect’s liabilities. Therefore, net worth is iffy and, in some cases, probably exaggerated at best. WealthEngine, Larkspur and iWave, among others, may list net worth in their reports, which is based on a formula for a prospect’s propensity to give, spend, assets, etc. However, limited liability information is available and should not be treated as absolute or definitive. It’s simply a guide and needs to be verified by more research. Sources like Forbes and Bloomberg comb even more asset and debt information. However, their focus is typically on the top wealthiest—so it may be tough to find your prospects, and, again, we can never fully know all the liabilities a prospect may have. Or, as an alternative to figuring out net worth, some organizations use identifiable assets to calculate a prospect’s gift capacity (1 percent to 5 percent assets).